Woo-hoo! We are 5-0 for assessments this week. All of the new dogs have been exceptional. This morning we met Buster and Rocky. Both were admirable young canines that had a lively time in our Medium Roll. Meet Buster. He is a ten month old, fifty pound, German/Australian Shepherd Mix. Buster is all dog and has a strong look. He played briskly, straight from the get go. Buster spoke great "DOG" and found a best friend in Macs. He also enjoyed new dog, Rocky, immensely. We've said it before, sometimes, "opposites attract". Now on to Rocky. He's a six month old, fifteen pound, Pug/Dachshund Mix. Talk about personality! 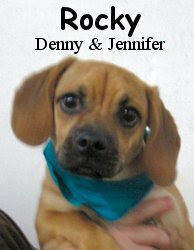 Rocky has a spunky and energetic spirit. 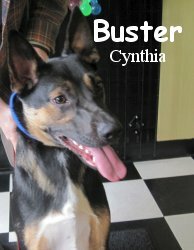 Like buster, he pretty much went straight to play once he got to the play area. Rocky attempted to get every dog to play with him and they pretty much did lol. Rocky liked Buster too, it was neat to see two newbies hit it off so well. Buster and Rocky qualified to attend The Fort whenever they like. Hopefully we will see them regularly. They are the type of dogs that truly benefit from coming to Fort Fido. Who knows, maybe they'll be "down a notch" tonight as well, then their owners can also benefit. P.S. This just in, another new pup tries out tomorrow, what a week!